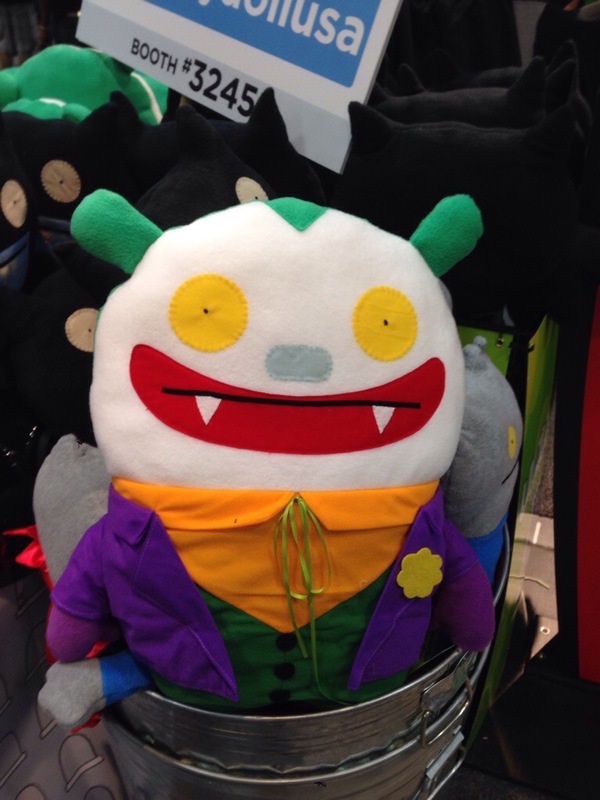 I have a strange attraction to Ugly Dolls. They are pretty simplistic stuffed animals, and they are widely ripped off, but i like the way the creator developed unique character templates that get reused. Last year there were the Universal Monster ones, which I loved. This year, DC Comics ones. The DC versions seemed a little weak to me, but this one, the Joker, just disturbed me. The idea of such a malevolent creature transformed into a cuddly kid stuffie it’s seems so, so wrong.